Google has launched a wireless, inductive charger for the Nexus 4 smartphone. "Charge your Nexus 4 wirelessly with this Qi inductive charger. Its angled surface provides easy visibility of your phone while charging. This elegant device was designed specifically for your Nexus 4 -- no clunky add-ons or accessories needed." The Nexus 4 Wireless Charger can be purchased now, directly from Google at the Play Store. As indicated by the name, the charger will only work with the Nexus 4 smartphone, which can also be purchased directly from the Google Play store. The 8GB Nexus 4 will cost you $299, while the 16GB version goes for $349. Neither phone requires a new service contract. I'm glad to see Google releasing this charger for the Nexus 4. It was one of my favorite features of my Palm Pre back in 2009 and one of the features I long for as a built in option on my Apple iPhone. 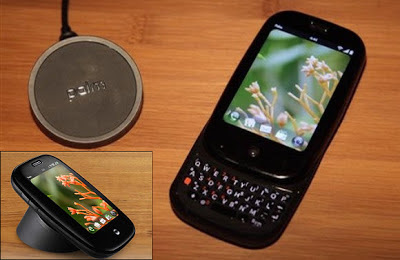 Available in black, the Nexus 4 Wireless Charger looks very similar to Palm's Touchstone charger for the Palm Pre an other webOS smartphones.